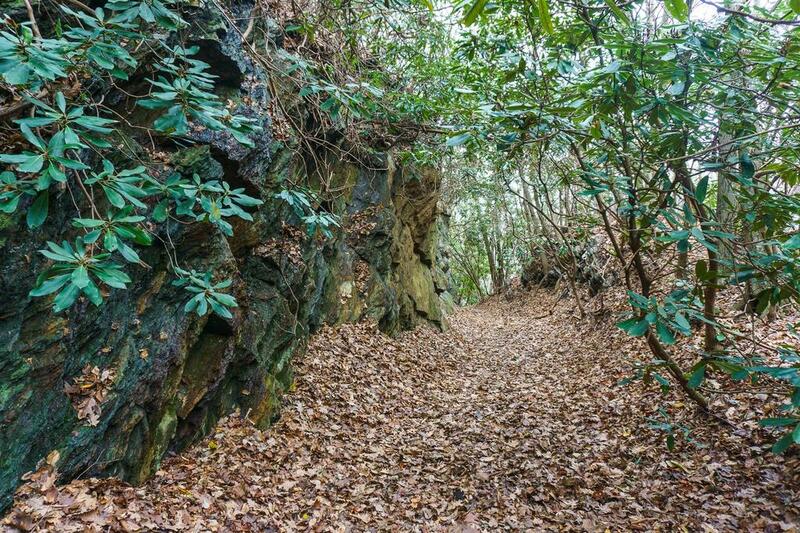 Imagine logging and tourist trains passing through this deep cut through the rocks on the Old Trestle Road trail. It was once a reality. You can almot hear the whistle!